Current is happy to announce an update of our book A History of Public Broadcasting to commemorate 100 years of public broadcasting, with a projected publication date of 2021. The newest iteration of the official history will expand the first two editions to cover public media’s founding figures, institutions, programs and mission statements, and will additionally contribute new sections on policy, regional and affiliate stations, podcasting and the rise of digital media. It will be published in conjunction with CPB and the Library of Congress’ Radio Preservation Task Force and authored by media historians Allison Perlman and Josh Shepperd. The year of public broadcasting’s birth is often debated. Seminal public broadcaster Harold McCarty contends that Wisconsin Public Radio signed on in 1917, when experimental World War I broadcasts between University of Wisconsin Radio and the Great Lakes Naval Base in Michigan represented the first example of a fully-functional radio station broadcasting to intended listeners. In any case, by 1921 educational broadcasting had begun on dozens of university campuses, supporting classroom extension services with music appreciation, home economics and farm reports. Public media represents one of the earliest and most influential models of mass media and is one of the richest stories of U.S. cultural history. Yet strands of this narrative are yet to be told. Many of the genres associated with public media, such as history, travel, public forums and news broadcasts, were rooted in classroom extension services. Public radio and television have innovated and experimented over the decades to find ways to educate and inform, as well as to expand perspectives and topics within the public sphere. Public media’s influence is visible not only in its programming history but in its impact on radio and televisual genres across broadcast and cable networks. Public media innovators have covered U.S. politics and culture since the 1920s and have played a central role in the development of distance learning, journalism standards, folklore and social science research, product testing, communications policy, podcasting, and even the philosophy of Marshall McLuhan. 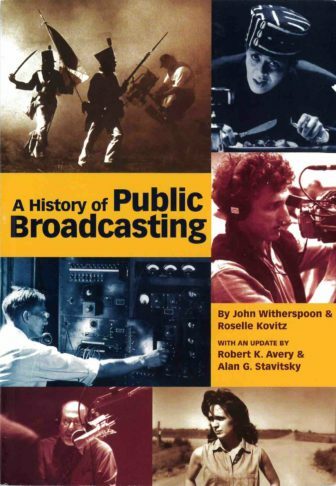 Current first published A History of Public Broadcasting in 1987, authored by John Witherspoon and Roselle Kovitz. It was updated in 2000 by Robert Avery and Alan Stavitsky, both of whom will assist with the new edition in an advisory capacity. Allison Perlman is associate professor at the University of California at Irvine, faculty director of the Radio Preservation Task Force’s Public Media Research Project and co-chair of the American Archive of Public Broadcasting’s Scholarly Advisory Committee. Josh Shepperd is assistant professor at Catholic University in Washington, D.C.; National Director of the Library of Congress’s Radio Preservation Task Force; and a fellow at Pennsylvania State University’s Center for Humanities and Information. He is also faculty curator of Current’s series Rewind: The Roots of Public Media. The globetrotting quality of public media is neither new nor politically neutral and has roots in the earliest days of American broadcasting.